The cut arrives only a few weeks after the collaboration was previewed. The single pays homage to the popular Bridges sandals and Clarks Deserts boots which are both popular in dancehall culture. The cut was directed by RD Studios and produced jointly by Romeich Entertainment and Tommy Lee’s label Guzu Musiq. 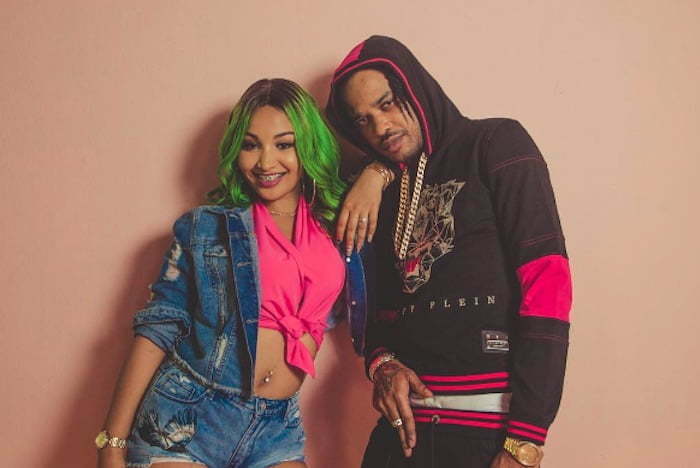 “Bridget’s & Desert” marks the first time that Shenseea and Tommy Lee Sparta are collaborating. “Them a pree and a talk and a watch yo everyday / And them man child support cyan match yo pay / When you a make moves them a pu**ycl**t play / Weh them know bout you girl,” Sparta deejay. The track is currently available on iTunes/Apple Music for streaming. Shenseea made some major breakthrough in dancehall this year following the success of her collaborative single with Vybz Kartel, “Loodi.” The Mobay deejay is also having a great year with a handful of hits as he continues to push his gothic dancehall movement. The formula has been working great for him since his Gaza days so why change it now. Watch the official video for “Bridget’s & Desert (Pon Foot)” below.